Stephanie Shaw joined the History faculty at Ohio State University in 1988, where she is a Professor. She has also taught in the department of Women’s Studies and the department of Black Studies. Her major fields of study include American Women’s, Labor, and Social history. Her research and teaching fields focus on women and black Americans. In 1996, Shaw published What a Woman ought to Be and to Do: Black Professional Women Workers during the Jim Crow Era (University of Chicago Press), a book about the family, work, and community lives of black women who worked in the feminized professions between about 1880 and 1955. The book was selected as an Outstanding Book by the Gustavus Myers Center for the Study of Human Rights in North America and won the Association of Black Women Historians’ Letitia Woods Brown Publication Prize. 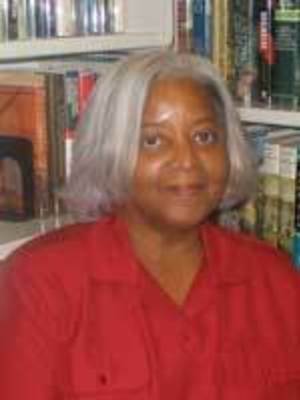 Shaw’s article, “Using the W. P. A. Ex-slave Narratives to Study the Great Depression" (The Journal of Southern History, 2003) was awarded the 2004 Green-Ramsdell Prize for the best article published in the Journal during 2002 and 2003. In 2015, she published W. E. B. Du Bois and The Souls of Black Folk (UNC Press), which offers a new perspective on Du Bois’ iconic study as a major work of philosophy. She is currently completing a book tentatively titled “Grandmothers, Granny Women, and Old Aunts: Rethinking Slave Families and Communities in the Nineteenth Century South”. Professor Shaw has held fellowships at the Carter G. Woodson Institute, Rice University (Mellon Visiting Professorship), The National Humanities Center, The Center for Advanced Study in the Behavioral Sciences, and the Stanford Humanities Center.